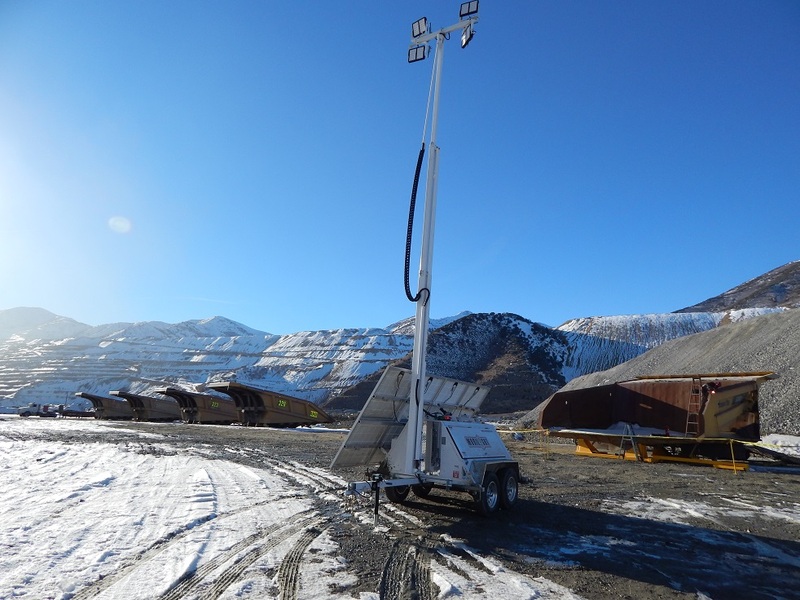 One of the most popular pieces of equipment that Mobilight International sells to the mining industry is it’s Hybrid Light Tower. 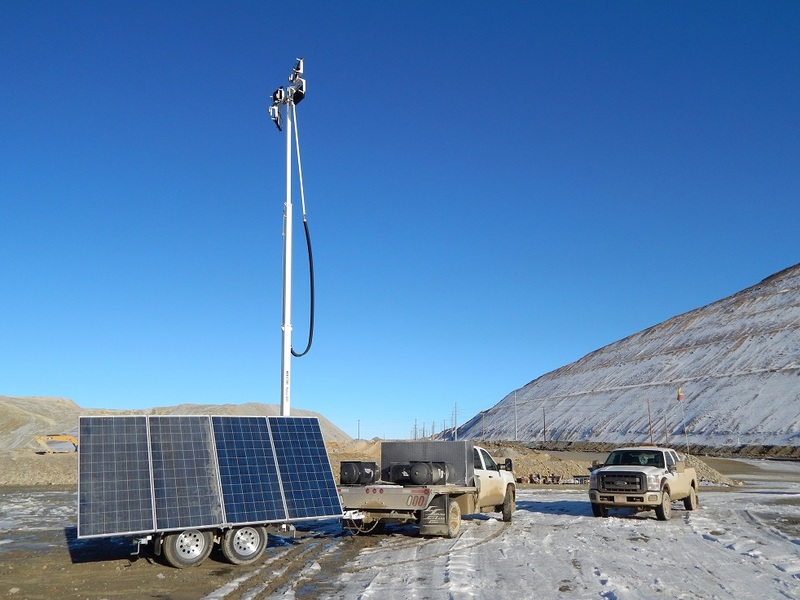 Mobilight has been providing mining equipment, more specifically, light towers to the mining, gas and oil industries on several continents for decades. 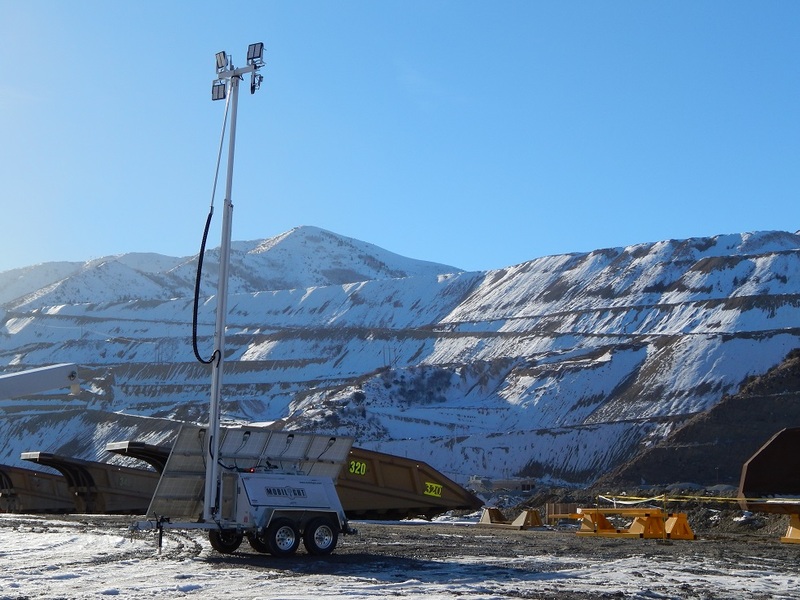 Mobilight is the exclusive provider of mobile light towers for the largest open pit copper mine in the world. Our products are made to perform and be durable under the most extreme conditions, which make them ideal for the challenging conditions of the mining, oil and gas industries. We have units that are still fully operational after 20 years in the field. The Mobilight Hybrid Light Tower, with generator and solar integration, auto on/off, superior LED lights with remote controlled vertical and horizontal movement combined with hydraulic tower operation, are creating a great deal of enthusiasm among mining equipment procurement agents. The significant savings in fuel, labor set up / take down time, engine run time and battery cycles are significant enough to draw attention. The LEDs are powered by the batteries. If the batteries need to charge, our gen controller will start the engine for a period of time to top up the batteries. The benefit of this integration is no loss of light intensity. *With an average run time of 3 hrs per day, they only had 12% of their normal run time on the engine and generator. Including the automated on/off function and remote monitoring, projected savings over a ten year period is well over $325,000.00 per unit. This did not include savings on maintenance, engine and battery wear, and light replacement. Since our hardware and web based monitoring system track low fuel levels, engine run time, engine on/off, battery voltage levels, and GPS location, there is minimal need for personnel to make daily trips to check the status of the hybrid tower. Therefore, the cost of labor cost and resulting loss of productivity for checking the unit daily, as well as location, is minimal. Monitoring is $29.95 a month. The cost over a year is $359.40 with a fuel consumption of 1.95 gallons every 24 hrs, the larger 78 gallon tank only needs to be filled every 40 days. Once again, a 1 hour refueling trip is $22.00 hr. At 9 refuels a year, it results in a cost of $200.75 a year. You will notice that there is a combined fuel and labor cost, including monitoring, of $34,436 over a ten year period. The high quality of our light tower construction and engineering are known on three continents. We currently have lighting towers that have been in the field and are fully operational after 20 years, because our light towers are built to not only perform, but to last through the most extreme conditions. The superior lighting, performance, automation, quality, innovation, durability and the resulting dramatic economic and environmental savings, make Mobilight Towers the best and brightest in the world.